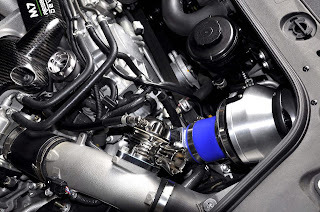 Hyper Sound Blow Off Valve Type GT-7 employs the Dual Drive System. 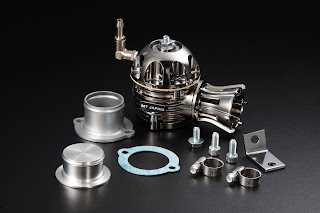 The purpose of Dual Drive System is to relieve compressor surge without reducing compressor speed.The funnel and body with ribs employs high quality aluminum die-cast to ensured heat dissipation radiation. Creates a sharp sound by adopting the Venturi effect.The M7 blow off valve not only improves performance and response, but also increases the life of the turbocharger. M7 HYPER SOUND BLOW OFF VALVE TYPE GT-7 on an EvoX!